involved: addict, family, friends and clinicians. ailment that can be managed. to stay on track and is free of guilt-producing rules and restrictions. experience-based encouragement to anyone involved in any phase of addiction and recovery. recovery, Staying Sober is an intuitively conceived and brilliantly executed presentation. 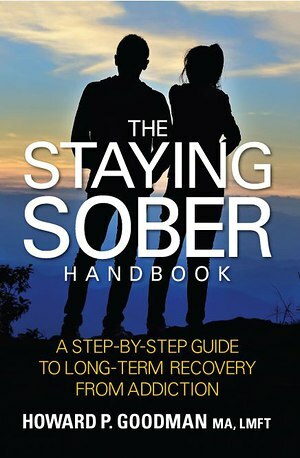 If you’re thinking about getting sober, this book will show you that you can do it and how to get there. amplifying the effectiveness of your practice with addicts. Are you ready?Yes, You Can Stay Sober! Howard Goodman, MA, LMFT is a licensed psychotherapist, specializing in the treatment of addiction since 2006. Over the last ten years Howard has treated individuals in hospitals, inpatient, intensive outpatient, and sober living facilities as well as in his private practice. Howard has led thousands of groups for those in recovery as well as for their friends and loved ones. In recovery himself, Howard brings a personal sense of urgency, empathy and purpose to help others achieve long-term sobriety, health, and wellness. Howard maintains a private practice in Los Angeles where he treats individuals, couples, and families recovering from addiction. Goodman is a frequent blog contributor, public speaker, and CEU work- shop presenter.